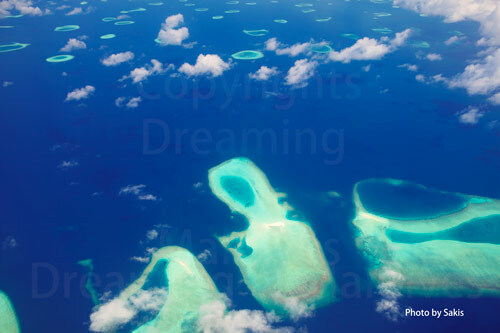 Photo of the Maldives from the sky,flying this morning with Maldivian, the National Company. We wanted to share with you what we saw from the plane this morning, flying from extreme South to Male. 10 years flying above these marvels, and we never get bored…Aren’t they Georgeous ?